When my mom and I were preparing a list of Russian war books (see how I'm building up your suspense, although only half of the list is translated yet? 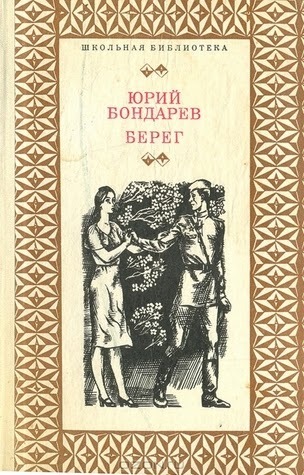 :)), I put off some I wanted to read, and began with this one, as I've never read anything by Bondarev before. He was very young when he went to war, and thus has had a lot of prolific writing years after it. This is not the most famous of his books, but it's certainly quite unique, as it is set long after the war. Two writers, Nikitin and Samsonov, are invited to Germany in 1971 to give a talk about Nikitin's famous books. They were both in the war, and now they observe with interest how Germany has evolved since its defeat. Some of the things they see are just curious, come seem revolting for them. They meet a few representatives of the intelligentsia, and all goes well, until one of the receiving women tells Nikitin she is the girl he had an affair with for a couple of days in the end of the war, in a small town near Berlin, where their artillery battalion was quartered. Nikitin starts to remember those days, when years of hardships were nearly all behind, the victory was close, the spring was in full swing, and he was in love with a German girl, although this was, of course, severely punished if discovered. Now, 26 years later, they are both changed and have a lot behind them, but this feeling still lingers somewhere deep inside them, now bitter and sorrowful. The book seems to be about love, but it's not. It's about the permanent changes war makes in individuals and nations, how decades after it's finished it's still the main factor in the lives of those who have survived it. 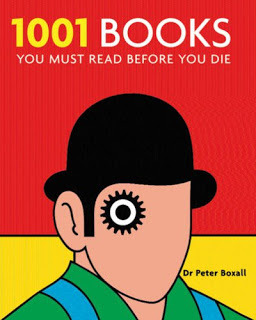 It's a very sad book, which leaves a lot to think about, and it's also very psychologically precise: you will not find one-dimensional characters here. There is not a lot of descriptions of military operations in this book, so if you don't particularly enjoy them, it's a plus. A difficult book, with a lot of essence in it, but still gripping and beautifully written. Nice, I don't believe I've heard about this one. I should check it out one of these days. One war book I remember liking from my school days was The Two Captains by Kaverin. I actually want to re-read it and see if I still find it as good. I'm putting The Shore on my TBR though! I'm always interested in new writers, thanks! Question: Have you read Karel Capek? I want to read something he has written ( translated into Englis) and am looking for a suggestion. I've read his Stories from a Pocket, and it was really good. It's just some short stories set in Czech Rep, some of them with detective, some with humorous and some with philosophical twist. It's a good place to start, I think!